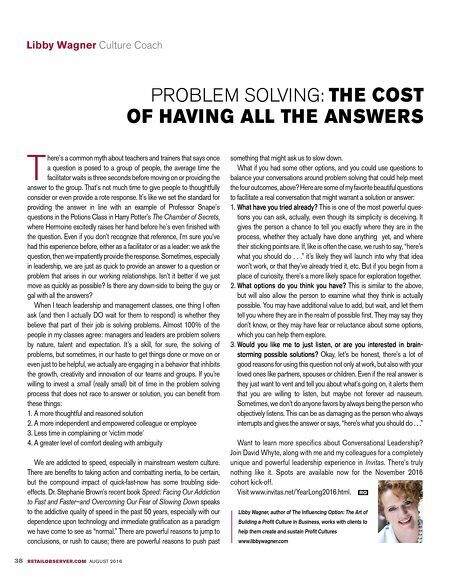 You knew us as Capital Solutions for the Home Product Industry (CSHPI). To our customers who made this journey with us, we would like to thank you for your unwavering commitment and support. And, for those of you who might be considering inventory financing with us for the very first time, we think you'll find the new Wells Fargo Commercial Distribution Finance is positioned to help you achieve your goals even better than before. As one of the world's most valuable and recognized financial services companies, Wells Fargo has been helping businesses — big and small — gain greater strength and stability for more than 160 years. Couple that history with CDF's more than 50 years of electronics and appliances expertise, and you'll soon discover a winning combination of solutions and services designed to help keep your customers coming back — this season and the next. Welcome to the new Wells Fargo Commercial Distribution Finance. 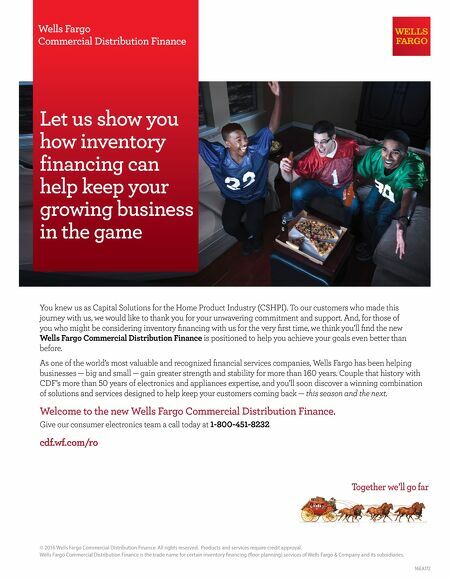 Give our consumer electronics team a call today at 1-800-451-8232 cdf.wf.com/ro Wells Fargo Commercial Distribution Finance Let us show you how inventory financing can help keep your growing business in the game 16EA172 © 2016 Wells Fargo Commercial Distribution Finance. All rights reserved. Products and services require credit approval. Wells Fargo Commercial Distribution Finance is the trade name for certain inventory financing (floor planning) services of Wells Fargo & Company and its subsidiaries.